You need air conditioning services for your company, with minimal downtime. That’s why it’s good to know you can help your employees and clients keep their cool by relying on T.F. O’Brien for your commercial air conditioning installation and repair needs. We’ve helped businesses and organizations in Long Island, NY with their commercial air conditioning installation and repair for decades, and we want to help your business or organization as well. You can count on our commercial air conditioning installation and repair team. Comprised of top-notch HVAC technicians who have been trained to provide expert commercial air conditioning diagnostics, they can easily make whatever commercial air conditioning repairs are necessary at your Long Island, NY business. 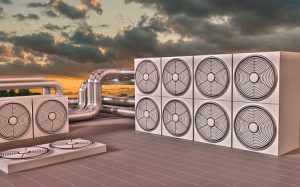 What’s more, they can help you find the best and most efficient commercial air conditioning system available while staying within your budget. Excellent service from beginning to end. The new A/C is wonderful. Tom did a great job. Got 5 other estimates: one did not respond, another sent a proposal via email which I could either accept or decline with no questions entertained. We had a special situation and only Tom was able to understand it and figure out a way to do the job. We're very happy with our new Daikin unit-operates exactly like Tom said it would. The installation was first rate and professional as well. Would certainly recommend. Very happy with your work, just very happy I haven't had to use it yet due to cool weather. The customer service has been excellent. It's been extremely easy to schedule the consultation, installation and follow-up service. Everything was delivered and installed as promised in a very timely fashion. I've been extremely happy with the level of communication from your company. When I'm ready to have the next phase of my HVAC system installed I'm definitely coming back! Excellent job/excellent service as always. Thank you. Count on T.F. O’Brien for full commercial AC services for your Long Island, NY business. When you need commercial air conditioning installation or repair for your Long Island business or organization, count on T.F. O’Brien Cooling & Heating. T.F. O’Brien proudly serves all of Long Island, including Nassau County, Suffolk County, and Brooklyn. Just give us a call at 516.488.1800 or fill out the convenient contact form below, and we’ll be more than happy to assist you.